I-cord cast off gives a smooth, rounded edge to your knitting. Find out how to do it from this straightforward video tutorial. Learn how to work the simplest of provisional cast ons with this video tutorial. These two videos cover the basics of working jogless helical stripes, whether you use circular needle, or double-pointed needles. Learning to fix a mistake in your knitting is really empowering. I remember in my early knitting days I would traipse down the hill to the local yarn shop whenever something went amiss in my knitting. The owner, Tina, was really patient with me, and picked up dropped stitches, helped me to rip back, and eventually, once my confidence had grown, she showed me how to fix my own mistakes. It really marks a change in your relationship with your knitting when you are able to get a project back on track on your own. 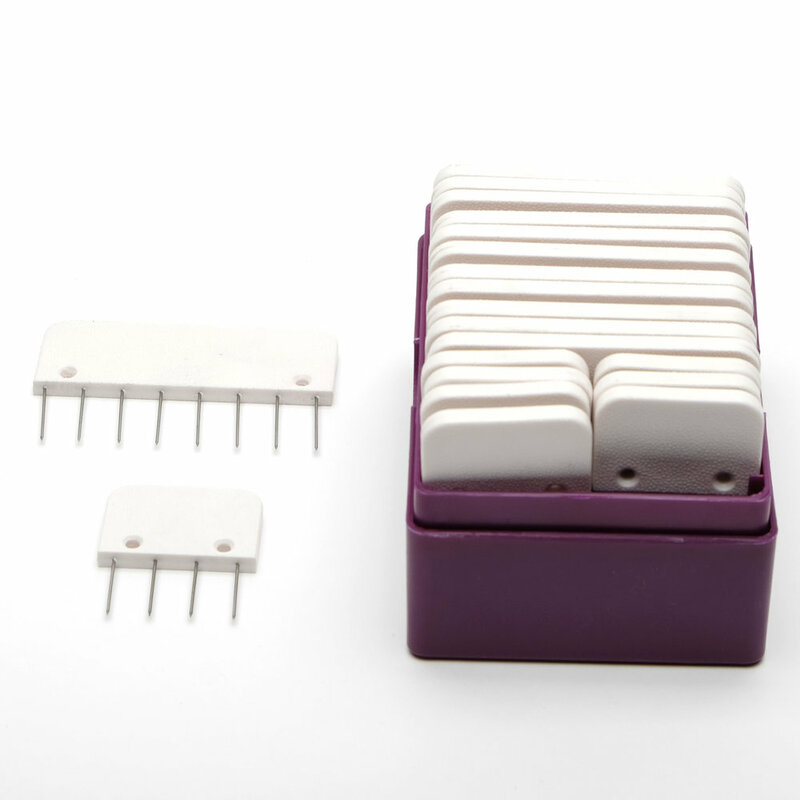 Have you come across pin combs before? I had seen them mentioned a while ago, but it wasn't until we started work on Something New to Learn About Lace that I got around to ordering a set. I have the KnitPro Knit Blockers that we now stock in the shop, and I absolutely love them! I have had a set of blocking wires for nearly ten years, and they get used a LOT. I find my wires so useful that it had never really occurred to me that I would want to use anything else for blocking lace. For peaked or scalloped edges, I think that wires are still the best way to go, but depending on the size of your project, pin combs are a brilliant way to pin out straight edges. They are certainly faster and easier than wires over short distances.